Young Mike Huddleston and I have been exchanging a few fun filled emails lately. We’ve been sending each other mini lists of books we think are overvalued. Mike and I both think this premise would make a great regular column by the way. So Mike mentions a certain issue of Fantastic Four that he thinks may be overvalued but in passing uses Fantastic Four #48 as an example against which to measure the injustice. I thought about what Mike said for a while, kicked around the net a bit and finally came to the conclusion than Mike’s point could not be ignored. 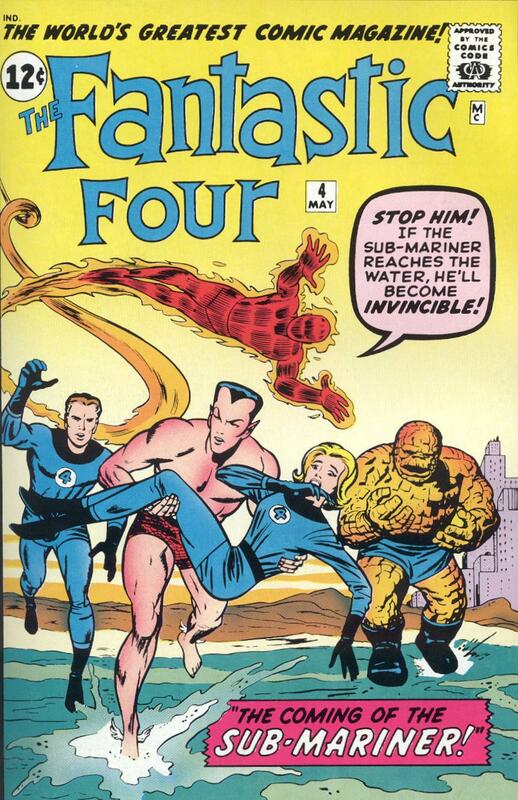 In a bit of a long winded way I’ve explained how it came to be that this week’s Undervalued Spotlight is none other than that true classic Fantastic Four #48. The more I look at today’s speculative comic book market landscape the more I see value given out to future potential. (In this Spotlight I’ll stay with Fantastic Four and use FF #45 and #52, competitive contemporaries of FF #48., as comparables). Fantastic Four #45 which features the 1st appearance of the Inhumans has a $2,800 value in the current Guide, pretty good considering last year’s Guide had is at $650. Fantastic Four #52, which features the 1st Black Panther, is much the same with a current Guide value of $2000 up from last year’s Guide value of $1150. These are huge jumps, way bigger than the Fantastic Four #48’s jump to $1800 from last year’s $1700. The market results reinforce the movement in the Guide, FF #45 at 9.2 can get you over $4100 (the last sale a staggering $5800) on the market today according to GPA, this is 400% over what it could get two short years ago. An FF #52 at 9.2 can earn over $4100 a nice 250% increase over a couple of years ago. Our Spotlight pick FF #48 is currently selling for $2,100 at the 9.2 CGC grade or about 30% over its selling point two years ago. Cripes even a Silver Surfer #1 in CGC 9.2 grade fetches $1,700, almost as much as an FF #48 is getting. Yes I realize that all this has to be tempered by the fact that there are more #48s on the census, these census numbers are a reflection if it being a big book for a longer period of time. Relative to the other two books I’ve mentioned its current supply is actually tighter. Prices are suppressed not because of an oversupply but because of a relative lack of interest. Besides, the Guide values are not reflecting census numbers! How big are the Inhumans going to get? Will the Black Panther be a bigger deal than the Surfer? These questions have yet to be answered though the market seems to be weighing in with its thoughts. I want to revisit FF #48 and call out a couple of more trump cards (can you have more than one trump card?). 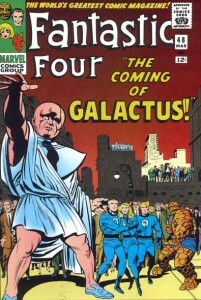 This week’s Spotlight pick features the first appearance of Galactus. Galactus is a big deal, has always been a big deal at Marvel and has been the most excoriatingly frustrating cosmic character Marvel couldn’t pry out of Fox Studio’s hands. Is the value of Fantastic Four #48 being suppressed because the characters introduced can’t be fully used by Marvel Studios? 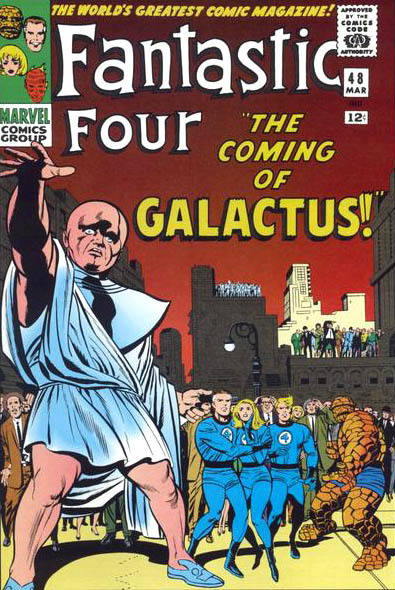 Historically speaking it’s tough to argue against FF #48, the book launches the Galactus trilogy with issues #49 and #50. 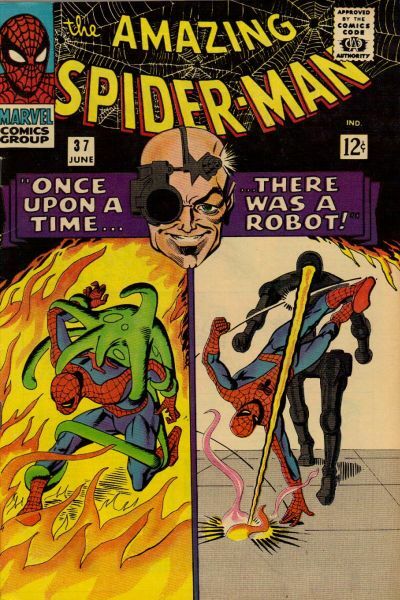 This mini arc is considered a high watermark of comics in the 1960s and many call it the best story Jack Kirby and Stan Lee ever collaborated on, this arc has deservedly reached legendary status. I think more love will come FF #48’s way once the market realizes what the book brings and what it could be bought for relative to other options. 45th Overstreet price breaks for this book are $512/$1,156/$1,800 in the 8.0/9.0/9.2 grade splits. ok guys,Galactus rules –But, so does the Trickster. Happy 75th birthday Bugs! Here’s my top 10 Humor List which Overstreet should finally add after so many years of neglect! Here’s my take. 1 Looney Tunes Comics #1. 2 WDC&S #1. 3 Archie Comics#1. 4 Mad #1. 5 Little Lulu FC#74. 6 New Funnies #65 very rare book, weak paper stock. Ditto #64. 7 Mickey Mouse FC #16. 8 Donald Duck FC #9. 9 Joker Comics #1 Ist Power House Pepper. 10 Sugar & Spike #1. Hey it’s long overdue Mr. Overstreet !! Hey great pic Walt ^-^! One of the other reasons to like this book is it features the conclusion of the first Inhumans saga that starts in issue #44 and finishes here in #48 (actually takes up nearly half the book) before the Surfer, Galactus, and the Watcher make their way into this book. I think this a good time to pick up long time key books like this one in a period of lower interest. It will be interesting to see what happens to the value of books like FF#45 & 52 in Overstreet when the movie buzz subsides. Will their be lasting interest at current levels for these books? Good to hear from Comic Book Dailys Golden Age champion again Stephen. One thing which diminishes this otherwise magnificent comic is the cover – one of my least faves in the whole run of FF. Tales to Astonish #93 is my favorite Surfer cover. Nevertheless, totally agree that this issue is getting eclipsed at the moment by 45 and 52 and shouldn’t be. But if those rights ever revert back to Marvel… ! hey guys–here’s my prognosis(by the way, i luv good comic books regardless of era). 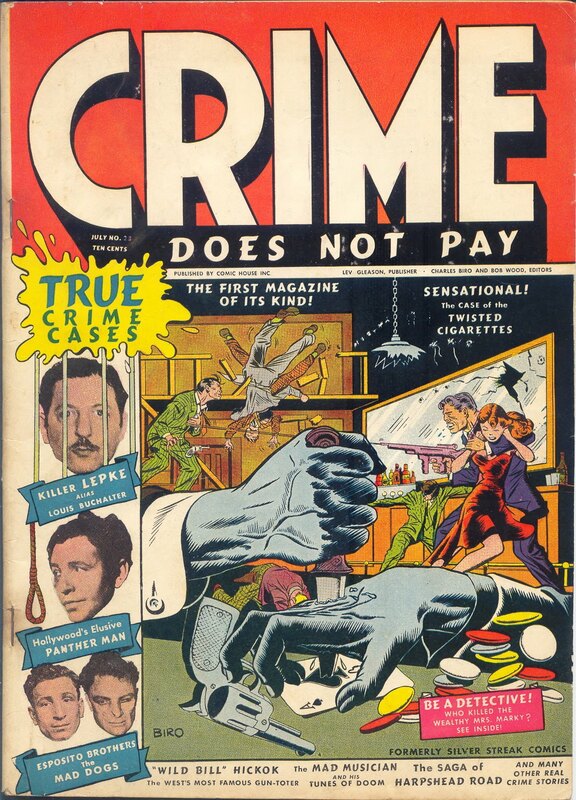 There is a whole ton of important investment grade comic books, and if one has a good decent grasp of the linear and mercurial nature of comic books within the larger nature of things, one can do quite well. oh, by the way two more picks please—-Mickey Mouse Mag.Vol 5/12, rare as hell. And Jolly Jingles, any work by George Carlson ( recommended long ago by one of my faves, Harlin Ellison ). Sorry–correction to above. Jingle Jangle Comics, not Jolly Jingles. Sort of a Shel Silverstein and Dr. Seuss. Charming work by Mr. Carlson. • it’s value is not pegged to any upcoming move. It stands on it’s own. • both the Surfer and Galactus are Marvel mainstays and remains popular. • history and recognition. Not just the flavor of the month. • somewhat off the radar, while most people are seeking movie picks. • may yet make a proper movie appearance. I think comic movies are great. They’ve helped to shed light on books that deserve more respect and fuel the current speculative market. But I feel more comfortable making long term bets on books that are tried and true. Hi Charlie, i just heard on NPR that Hollywood is being wooed more and more to Video Games to the big screen. Hedging, or signal to fickle tastes from the Public?? I agree with your assessment above.